The visual appeal of Coir, in a commercial-grade entry matting system. 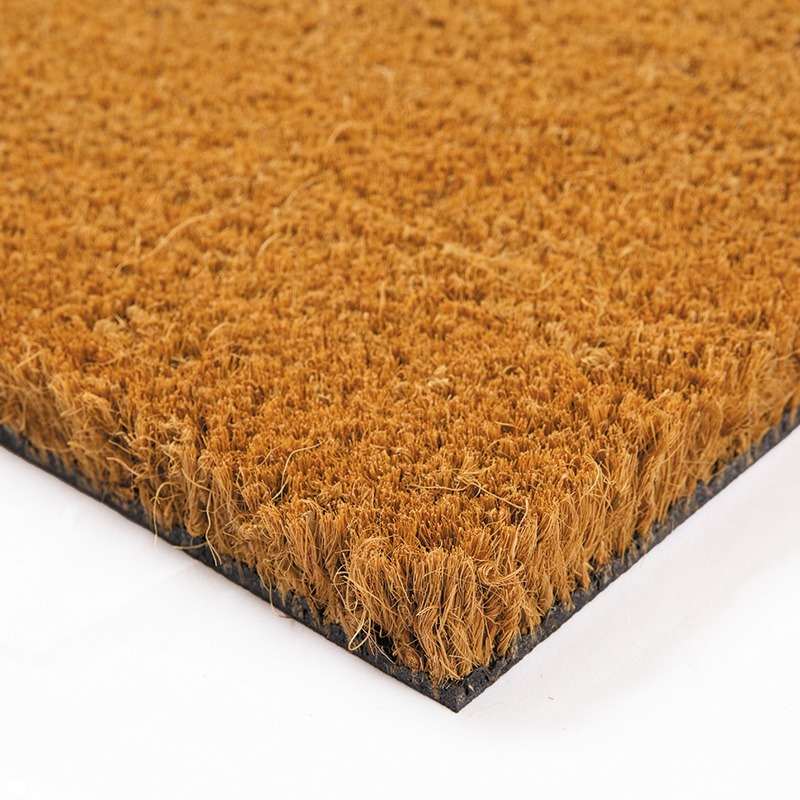 Coir has been used as a natural matting constituent for over 150 years. 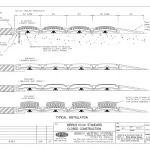 We have taken this proven material and applied modern design and manufacturing techniques to produce a matting system for today’s commercial entranceways. 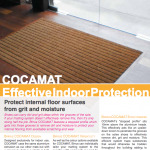 Designed exclusively for indoor use, COCAMAT uses the same aluminium extrusion as our other mats but with a coir insert which is available in both honey brown or black. In addition to the standard aluminium finish, anodised options are available to compliment your entranceway colour scheme. COCAMAT’s stepped profile sits above the aluminium treads. This penetrates the grooves of shoes to effectively remove dirt, grit and moisture, trapping substances that would otherwise be trodden into the building. Water is absorbed by the Coir to trap it in the matting system until it can dry out naturally. 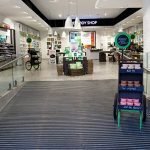 As well as the colour options available for COCAMAT, Birrus can individually tailor your matting system to the specific width and length required for your entranceway. 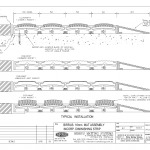 This allows you to have a matting system that is both effective in the area that it covers, and an appropriate shape for your overall entranceway design. 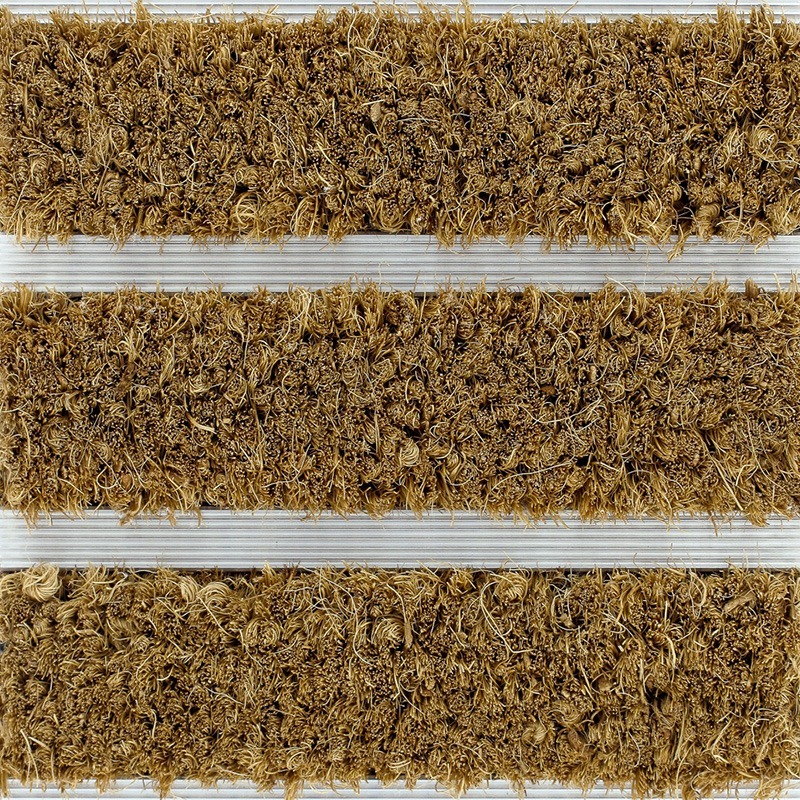 COCAMAT is manufactured using sustainably harvested Coir, made from coconut fibres. This industry provides a vital source of employment in rural Sri Lanka. The raised profile of the Coir inserts provides effective “brushing” of passing shoes to remove dirt and moisture to protect internal floors. 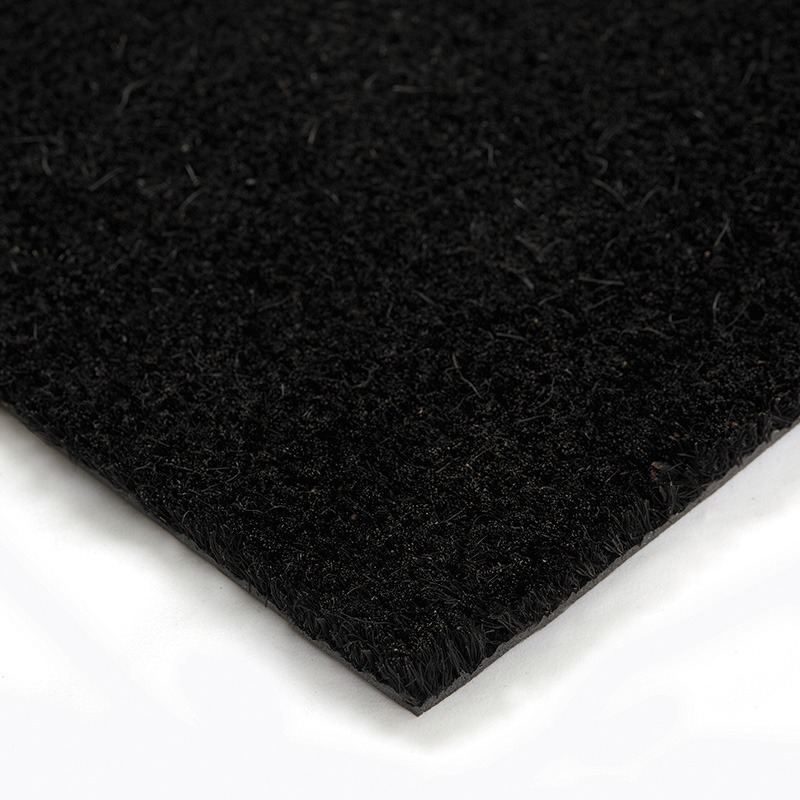 The Coir inserts are available in the natural honey colour or can be dyed black to give an alternative finish to complement the building’s colour scheme. 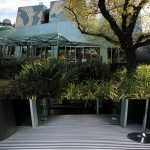 A high-quality matting frame is manufactured in Australia from a 6000-series aluminium alloy to give a hard-wearing and corrosion-resistant finish. All COCAMAT systems are custom-made to your specifications, ensuring the right fit and a high-quality outcome for your entranceway, no matter what the size or shape. An optional 15-micron anodised finish can be applied to the aluminium extrusions in Clear, Precious Gold, Antique Bronze or Midnight Black, to give a different visual element and further protect the matting frame from wear. Shoes can carry dirt and grit deep within the grooves of the sole. 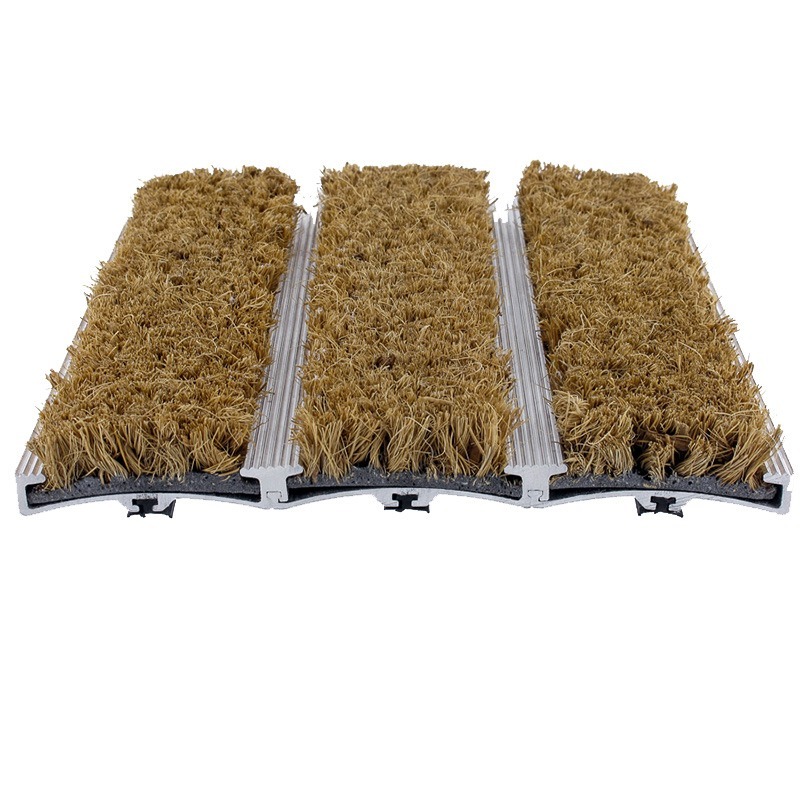 If your matting system doesn’t effectively remove this, then it’s only doing half the job. Birrus COCAMAT features a stepped profile which gets into those grooves to remove dirt and moisture to protect your internal flooring from avoidable scratching and wear. Note: Coir floor coverings are not produced in robotic factories.They are the products of agriculture, using natural dyes. 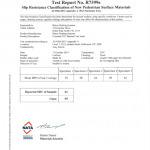 Minor irregularities in weave are inherent to these products – they do not affect wear. They are not flaws. Variations in colour are also common – from roll to roll, from sample to roll and even within roll. Place angle in the recess and set angles level with adjoining floor surfaces. Glue in or screw fix as required. 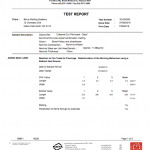 Contractors are advised, to ensure proper performance of the entire assembly it is absolutely necessary that base of matwell is formed to a level plane, using an engineered screed. We do not recommend sand and cement screed as it will break up over time. 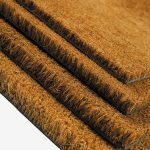 Coir inserts should be vacuumed regularly to remove dirt, grit and loose fibres which collect in treads. Replacement of inserts is a simple job carried out in-situ. A full range of inserts are available from your local distributor.